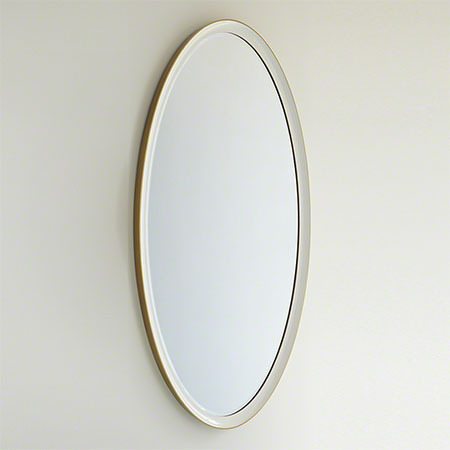 A perfectly beautiful oval-shaped mirror; custom-mixed white with gold high-gloss lacquer, gold ombre finish. A one-inch bevel surrounds the mirrored glass. Also Available in a small size. 36″w x 63″h x 2 1/2″deep. Oversized Item: Hangs with 24″ metal wall cleat provided.